Sometimes it's the simplest things that make the biggest impact. The Portable Toolbox is no exception, looking to the Shaker chest of drawers for inspiration with their ergonomic and aesthetically pleasing oversized knobs. 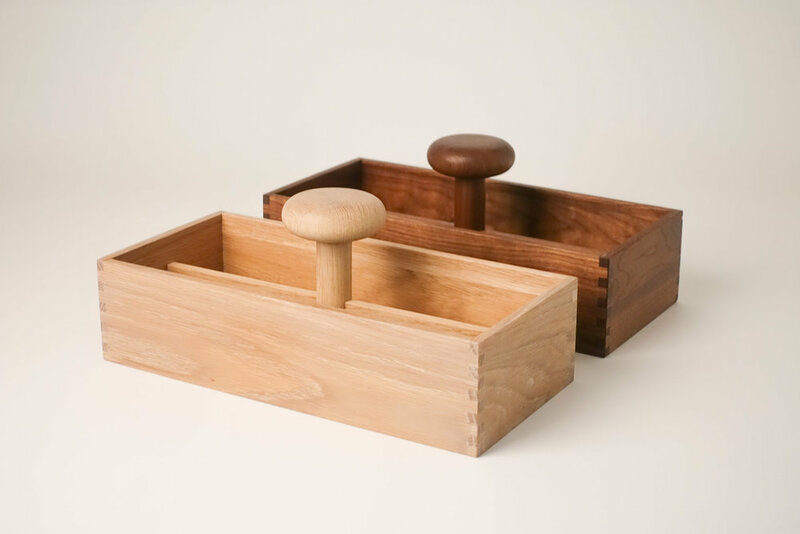 The minimal Portable Toolbox was designed by Hallgeir Homstvedt for Mjölk who looked to design a shaker that could function as a desktop organiser. The large handle provides the ease of use and visual appeal that works really well with the materials used. The hardwoods, oak, and maple were chosen due to their lightness and durability.